This is a scalable context timeline. 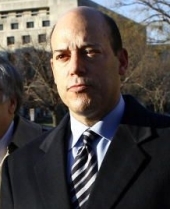 It contains events related to the event February 18, 2007: Former Justice Department Official Challenges Libby Prosecution, Accuses Others of Malfeasance. You can narrow or broaden the context of this timeline by adjusting the zoom level. The lower the scale, the more relevant the items on average will be, while the higher the scale, the less relevant the items, on average, will be. The online news site Raw Story publishes an article claiming that the exposure of covert CIA agent Valerie Plame Wilson (see June 13, 2003, June 23, 2003, July 7, 2003, 8:30 a.m. July 8, 2003, July 8, 2003, 11:00 a.m. July 11, 2003, 8:00 a.m. July 11, 2003, Late Afternoon, July 12, 2003, 1:26 p.m. July 12, 2003, July 12, 2003, and July 14, 2003) caused more damage to US national security than has previously been admitted, particularly in the area of containing foreign nuclear proliferation. Editor and reporter Larisa Alexandrovna sources the story from a number of anonymous current and former intelligence officials. 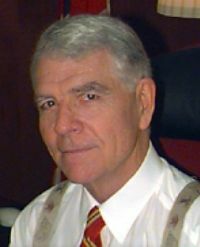 Plame Wilson, the officials say, was an integral part of an operation tracking distribution and acquisition of weapons of mass destruction technology to and from Iran. Alexandrovna writes, “Their [the officials’] accounts suggest that Plame [Wilson]‘s outing was more serious than has previously been reported and carries grave implications for US national security and its ability to monitor Iran’s burgeoning nuclear program.” The officials say that while previous reports indicate Plame Wilson may have been involved in monitoring nuclear “black market” activities, particularly those involving Abdul Qadeer Khan (see Late February 1999), her real focus was Iran, though her team would have come into contact with Khan’s black market network during the course of its work on Iran’s nuclear program. 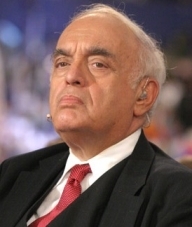 Khan’s network is believed to have been the primary source of Iran’s nuclear weapons efforts. The officials refuse to identify the specifics of Plame Wilson’s work, but do say that her exposure resulted in “severe” damage to her team and significantly hampered the CIA’s ability to monitor nuclear proliferation. 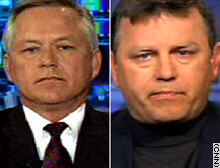 [Raw Story, 2/13/2006] The officials also say that the CIA conducted an “aggressive” in-house assessment of the damage caused by Plame Wilson’s exposure shortly after the White House leaked her identity to the press, and found the damage done by the leak “severe” (see Before September 16, 2003). Possible Defense Strategy - And, Dickerson writes, the site offers hints as to what Libby’s defense strategy might be. 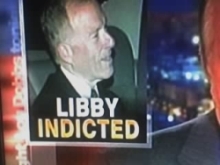 If the site is accurate, the defense team intends to portray Libby as “a good guy” who, as former Republican congressman Vin Weber says in a testimonial, “is a tough, honorable, honest guy.” He has spent his adult life in “selfless,” and apparently almost penniless, service to his country, fighting for the American people and battling terrorism and other national security threats with every waking breath. He is a “perfectionist,” says former Deputy Defense Secretary Paul Wolfowitz. The site also spends a large amount of time and bandwidth attacking special counsel Patrick Fitzgerald. 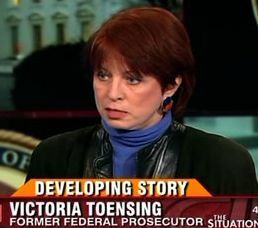 Seven of the 19 perspectives on Libby are criticisms of Fitzgerald, such as a statement by former Deputy Attorney General Victoria Toensing (see November 3, 2005) that the special counsel “has been investigating a very simple factual scenario and he’s missed this crucial fact.” [Slate, 2/27/2006] Toensing will engage in further criticism of Fitzgerald and the criminal case against Libby in op-eds (see February 18, 2007, February 18, 2007, and March 16, 2007).